Live music, bold Latin American flavors and Miami’s quintessential chef. Amara at Paraiso is your can’t-miss ticket to Miami Art Week! Get a first taste of Chef Michael Schwartz’s soon-to-open waterfront restaurant NEXT WEEK with a pop up dinner experience. Guests will enjoy an Amara experience including snacks and cocktails for their table followed by 4 courses served family-style for $189 including tax, gratuity and valet parking. Inspired by its idyllic bayside setting, Amara at Paraiso brings together bold Latin American flavors, coastal ingredients and South Florida’s diversity of food culture to create the quintessential Miami dining experience from environment to cuisine to vibe. Revel in the dynamic energy, local ingredients, and natural beauty that defines what living in Miami is all about, and at the best time to enjoy it. Click HERE to book your table through Resy before it’s too late. You may also do so by calling 305.702.5528. Seatings are available on the half hour from 7-9:30 p.m. from Wednesday, December 6 to Saturday, December 9 on-site at the restaurant in Paraiso Bay ( 3101 NE 7th Ave, Miami, FL 33137). UberEATS is bringing Miami Art Week to your door with limited edition cups designed by emerging local artist Lua Luisa Schwartz. Get yours when you open the UberEATS app from Thursday, December 1 until Saturday, December 3 and order from any of the partner restaurants for this activity: Harry’s Pizzeria®, Bodega, DIRT, Moshi Moshi and Novecento. Visit its Art Week HQ here for their fair map and pick up location guide. If the last name sounds familiar, it should. Ms. Schwartz is the daughter of Michael and Tamara and when UberEATS reached out with a request for Harry’s to hook up with a homegrown artist, she jumped on it with a playful pattern that dances Miami on a cup. The original! Made from acrylic paint and pen. This Miami Beach native (16,) is a third year visual arts student at New World School of the Arts. She has always wanted to create art and was encouraged by her parents from a young age to embrace it. Inspired by her environment, Ms. Schwartz says of her work “There are certain ideas that I have associated with symbols, and since my artwork is often a thread of a concept I am interested in at the time, they are recurring.” Motifs materializing across media rather than focusing on one in particular give her work a transformative, fluid quality free from boundaries. As she has developed her style, Ms. Schwartz has shifted importance from aesthetically-pleasing, to conceptually stimulating. Discover how Michael Schwartz Events can make your 2016 holiday gathering spectacular! Hard to believe but we know you are starting to plan for the 2016 Holiday Season, from Art Week to the New Year. 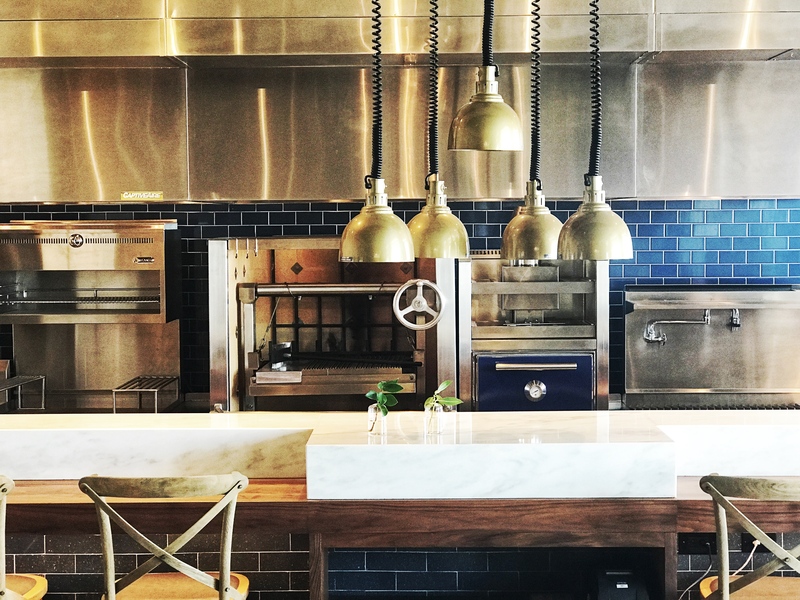 Let our James Beard Award winning-led team help you handle all your event needs with fully staffed catering off site including customizable menus, mobile wood oven, decór and satellite bar. Or, host your private party at one of Chef’s distinctive restaurant concepts that form The Genuine Hospitality Group. Email Special Events Director Lindsay Guidos at MICHAEL SCHWARTZ EVENTS or reach her at 786.708.6826 to get started! As the chef’s flagship restaurant, Michael’s Genuine offers a laid-back atmosphere and seriously good food, a neighborhood bistro that is the ultimate showcase for the type of cuisine that Michael does best – homemade, unpretentious, delectable, with an emphasis on great local ingredients. The restaurant can accommodate festivities for up to 150 guests as a buyout or separately in its bar room (18 seated or 35 standing cocktail party), main dining room (60), or outside patio (80) for lunch, brunch and dinner. Coconut Grove, FL 33133 Harry’s Pizzeria is all about fun, and parties are no exception. Whether in the Design District (seats 40 inside, 20 outside) or in Coconut Grove (seats 54 inside, 16 outside), it’s a perfect fit for happy hour gatherings, pizza parties, bachelor parties and more! Menu options include snacks, salads, pizza and entrées from the wood-burning oven. Harry’s can also hit the streets with a mobile wood burning oven for offsite events, the the perfect holiday — or Art Week — party on wheels. Our intimate dining room is rooted in top notch food and service with an old world sensibility from James Beard Award-winning chef Michael Schwartz. Evoking the simplicity of classic brasserie fare and open for dinner and weekend brunch, the restaurant’s size is perfect for lunch or dinner buyouts with customizable menus that play to a classy, lively experience. Cypress can accommodate seated parties up to 50 guests, or reception-style gatherings up to 75 guests. ella is nestled in Palm Court, a beautiful sun-drenched plaza in Miami’s Design District. Michael’s eldest daughter Ella is its inspiration! The café is open Monday to Saturday from 9am – 7pm and Sunday noon – 5pm serving breakfast, lunch and early evening bites (as well as large to-go orders and catering), with beverages including Panther Coffee, JoJo Tea, beer and wine. After hours ella is available for private seated dinners and chef tables for up to 28 inside or standing receptions for up to 500 in Palm Court. A sleek and airy spot for effortless events!